it; but humans enjoy the act of relaxing and consuming the food they love, no matter what the circumstances. 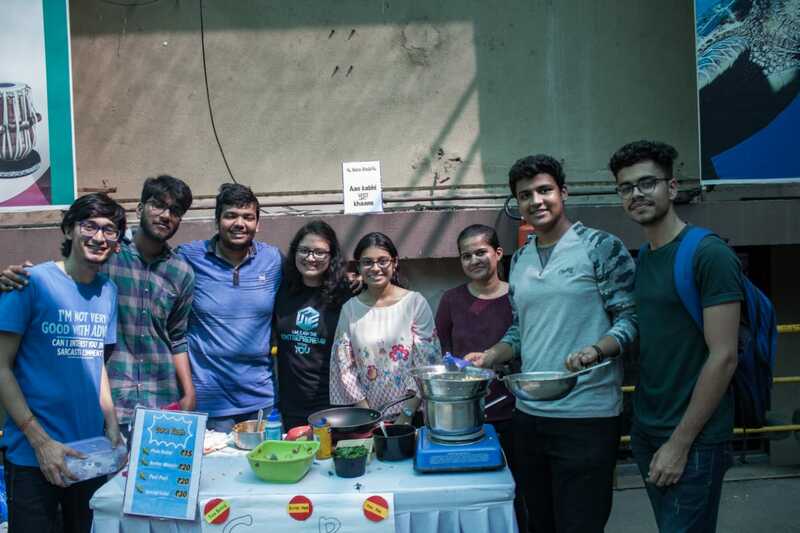 students of the college were given a chance to put up stalls where they had the opportunity of serving their peers fresh, enjoyable food made with their own hands. 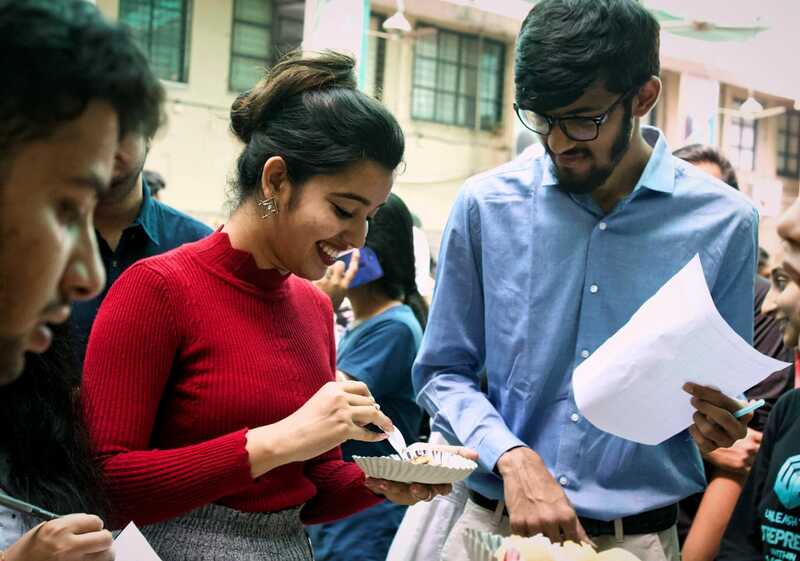 The E-Cell proclaimed the day as a No Tiffin day, encouraging studentsto ditch their boring lunch breaks and enjoy the delicious food and experience of being fed by their friends. 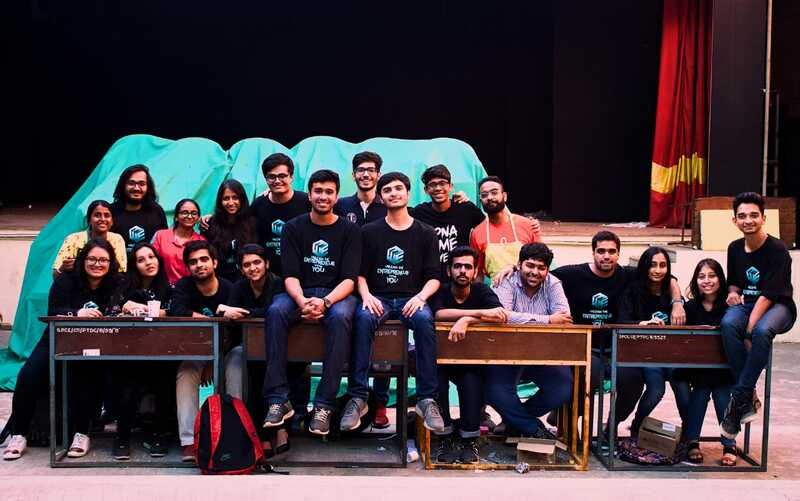 The event was held on the 22nd of February in the SPIT Quadrangle in two carefully planned, slots one in the afternoon and in the evening. 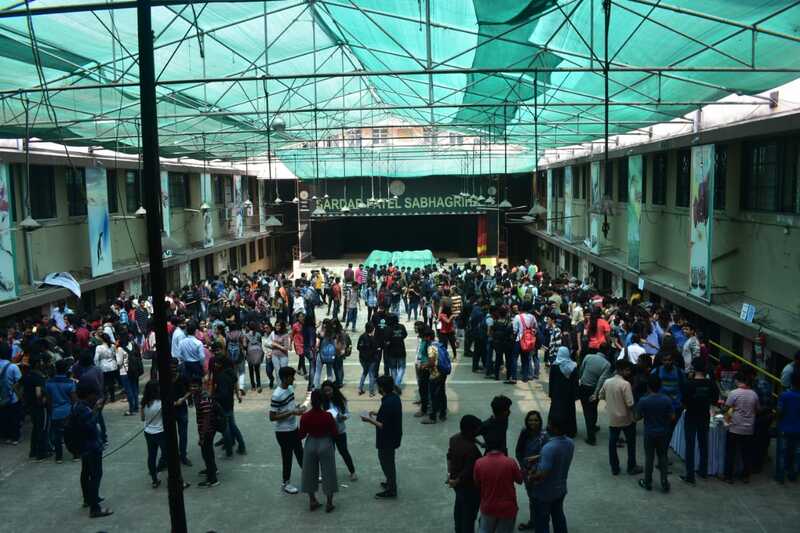 When the gates were opened, students from the whole college almost overcrowded the Quadrangle to have their share of the delicious treats on offer. Dishes such as Chinese Wadapav, Pancakes, Manchurian Spring Rolls, Sweet Corn, Sandwiches and Pasta were on the menu which surely got everyone excited. 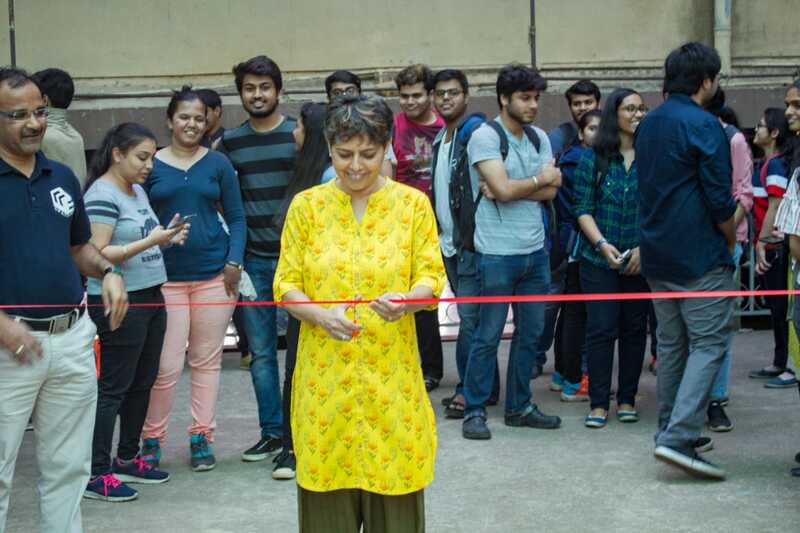 The Event followed a coupon system wherein customers had to purchase tickets worth various denominations to buy food, something which truly highlights the bright minds of the entrepreneurs in the E-Cell. A major highlight of the event was the presence of renowned food bloggers. These bloggers gave the contestants valuable tips regarding their dishes and gracefully scored each dish. Official Statistics released by the E-Cell revealed that total sales of Rupees 36,500 was made within four hours. Prizes were given out to the best stalls based on overall taste, presentation and profitability. ‘Bandra to Bhayander’ put up by FE EXTC was declared as the best stall put up followed by ‘Back to Kitchen’ by FE ETRX and ‘Sugar and Spice’ by SE EXTC. 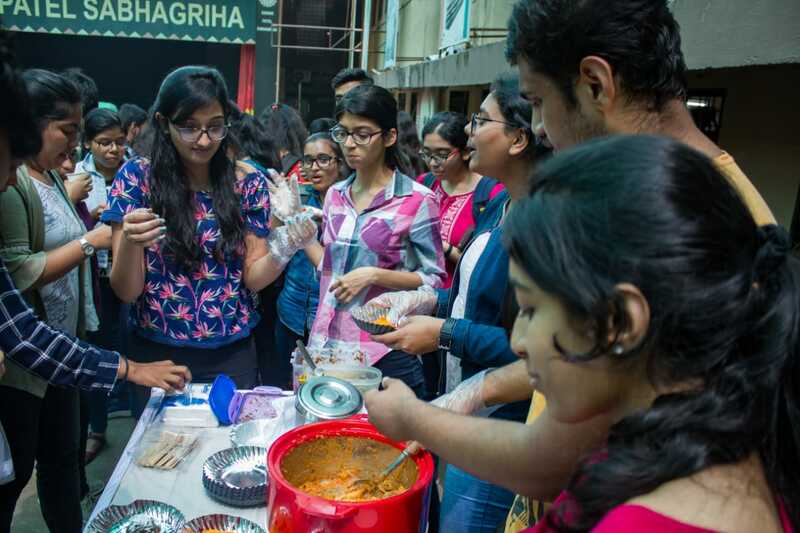 The event was surely a huge success as most stalls left with a profit, and students with a full and satisfied tummy, who can barely wait for its next iteration. After such a successful combination of food and entrepreneurship, E-Cell S.P.I.T continues to march forward towards social entrepreneurship. Taking a step forward in social entrepreneurship, E-Cell S.P.I.T along with Good Shepherds took up the initiative to help the underprivileged women and give them a reason to smile. At the NGO, these women have an opportunity to learn and showcase their talent stitching beautiful bags. Some of these women make jewelry with unique intricate designs. What these talented women lack is confidence and a platform to exhibit their creations. E-Cell S.P.I.T provided them this platform. E-Cell made these beautiful creations available to people. A total of 30+ bags and 25+ pieces of jewelry have been sold yet. Do make your own contribution and help these talented women. The sheer smile on the faces of these women knowing that something they created received so much love was worth all the effort.